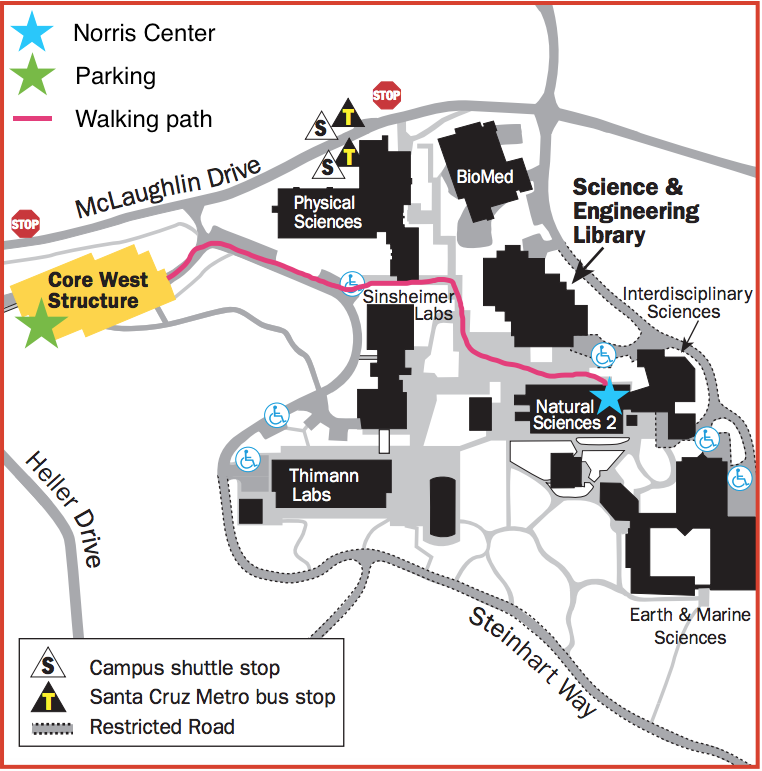 The Norris Center is located in UC Santa Cruz in Santa Cruz, California. Santa Cruz is located at the northern tip of the Monterey Bay on the Central California coast, approximately 60 miles south of San Francisco. If you are coming by car during our normal hours, you will have to stop at the main parking kiosk here, then get a parking pass that will allow you to park in the Core West Parking Lot. 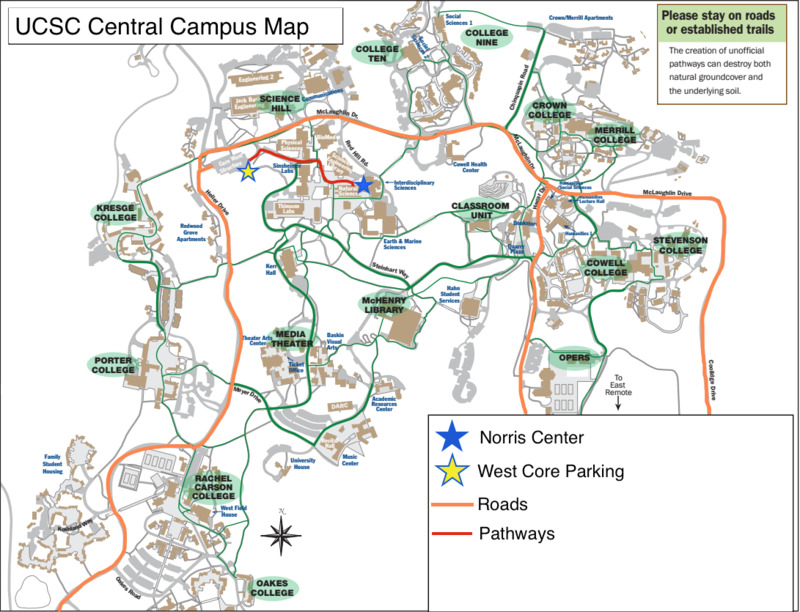 From the Core West Parking Lot, it's a 5 minute walk to us at the Norris Center. Click here for a map of main campus. If you are dropping off/picking up specimens, please contact the Norris Center for information on temporary (10 minute maximum) parking.